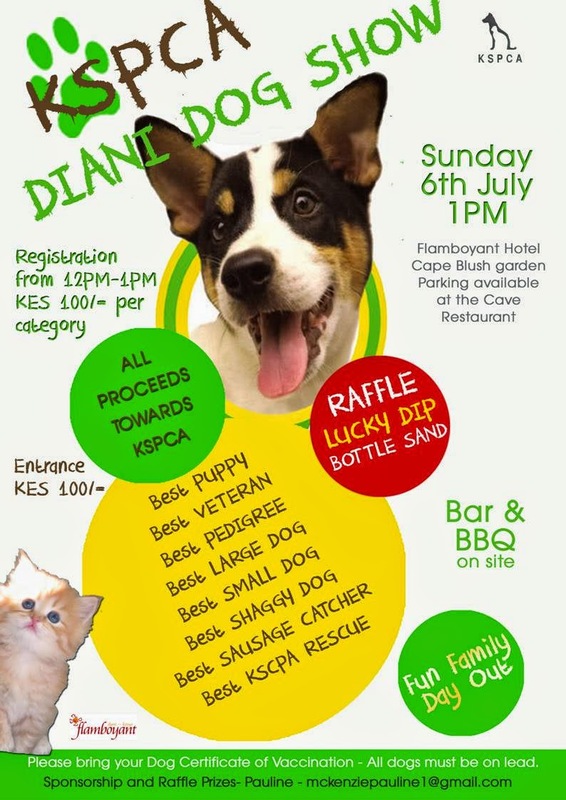 We are having the KSPCA DIANI DOG SHOW on Sunday 6th July to raise much needed funds for Mombasa KSPCA. Our four legged friends sadly are at the bottom of the donation league. ANY HELP you could give (cash donation, prizes for raffle…) would be most appreciated. It will be a family fun day out with stalls and games, BBQ and a bar. Thank you and get your beloved friend ready for the show!